The apostle Paul wrote the above words to his brothers and sisters in Christ at the church of Rome. The church, started by Jews who had come to faith during the Pentecost, had grown into a diverse community of believers that included Jews and Gentiles, the rich and poor, free people and the slaves. He hoped to help the church people grow to accept each other more readily, instead of focusing on their differences. He knew if they came together in community and minimized their differences, deep fellowship with each other would result. And create a stronger unity of voices praising God. When I gather with my Inscribe Christian Writers group, Writer’s Café, I believe we are also called to be there as a community that grows a strong voice for God. Each of us is different, and most likely we would never have met if not for our coming together to share our faith through our writing. We come from different backgrounds, are in different stages of our work and family life, writing accomplishments and genres. I’m the only single. Yet marital status has not decreased my acceptance from the others. 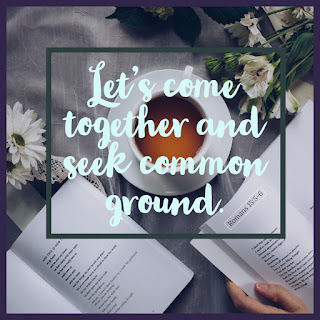 Rather, it’s a chance for me to deepen my fellowship with godly married women, and maybe for them to grow deeper in fellowship with Christian singles in their church communities. Gathered together we share our writings that are different in style and in voice. But all of us the same in our love for the One who first gave us our voice. "He knew if they came together in community and minimized their differences, deep fellowship with each other would result." Thank you for the lovely example of how that can look as demonstrated by your own writing group. 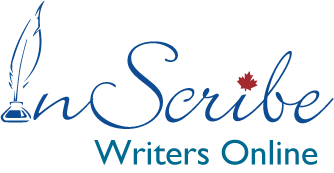 Always will recommend writers to join a group for sure! It more than just grows us writers...Thanks for your comment Brenda! Thanks, Lynn, for the apt scripture verses you've given to back your practice of spurring one another on--in faith, in life, and in writing. It is beautiful to see how inspiring we can be to one another when we come together and share common ground. How perfect that you quote, "Accept one another, then, just as Christ accepted you, in order to bring praise to God." Romans 15:7 Amen!